Ahead of Shadow of the Tomb Raider’s upcoming release, the folks at Weta Workshop have unveiled a beautifully sculpted Lara Croft figure. 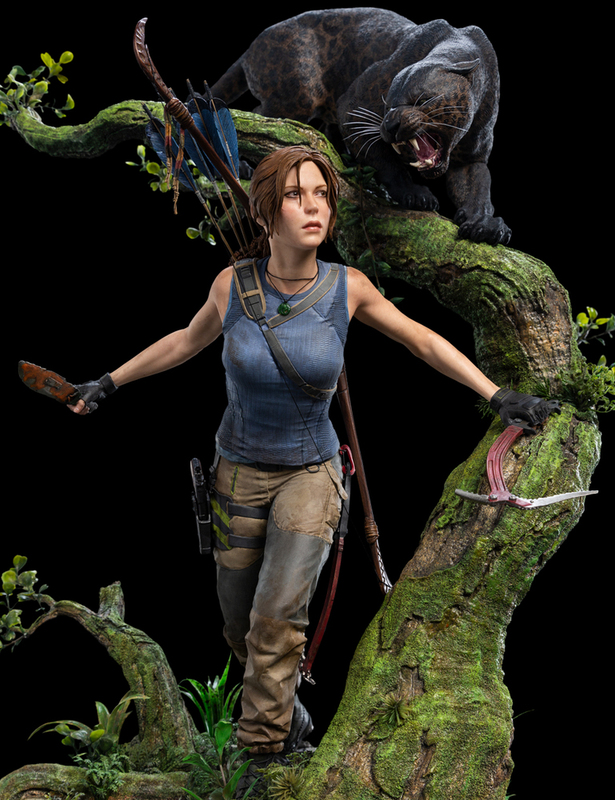 The figure, which costs $799.99, reimagines a scene from Shadow of the Tomb Raider, in which Lara braves the Peruvian jungle with a black jaguar on her heels. Sculptor Daniel Cockersell, who also acted as principal sculptor on Weta Workshop’s Gollum figure, brought the scene to life with a 1:4 scale polystone collectible. Weta Workshop is only producing 750 of the highly-detailed Lara Croft figures. It stands nearly twenty inches tall and weighs approximately sixteen pounds. Preorders are live, with monthly payment options in place for interested fans. The Lara Croft figure is expected to begin shipping sometime in February 2019. Tomb Raider isn’t the only September 2018 game with a high-end collectible. Sideshow and Hot Toys recently unveiled plans for a Spider-Man figure based on the hero’s design in Marvel’s Spider-Man. The wallets of collectors worldwide are crying in pain as it also carries a hefty price tag, coming in it $250. Shadow of the Tomb Raider’s release date is just around the corner. Lara Croft’s next adventure arrives on September 14, 2018.